At this time of year, more so than at others, our gaze is drawn to the wonderful colours of the changing trees. Here in The Surrey Hills http://www.surreyhills.org we are so luck to live within the most wooded county in England. Trees as far as the eye can see. 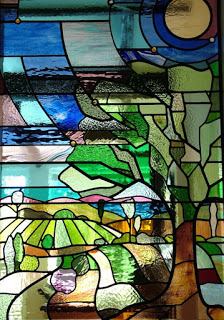 As a stained glass artists I am often asked to portray these in glass. I have no shortage of inspiration here! I just have to walk out of my door and here they all are. The amazing lightning oak tree behind my workshop is still clinging to life with a third of it in full leaf. 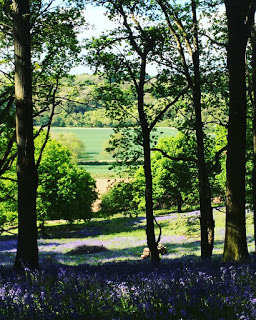 The view from the woods towards the North Downs on a bluebelly day with the tree trunks providing strength and light and shade to the image. 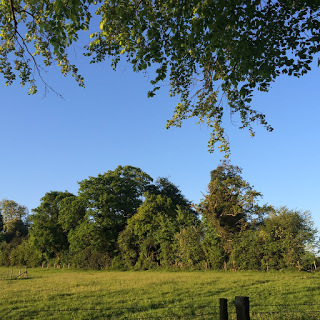 The mixed woodland at the edge of the field behind the workshop on a sunny summer day with my beloved beech tree in stretching down and providing essential shade. 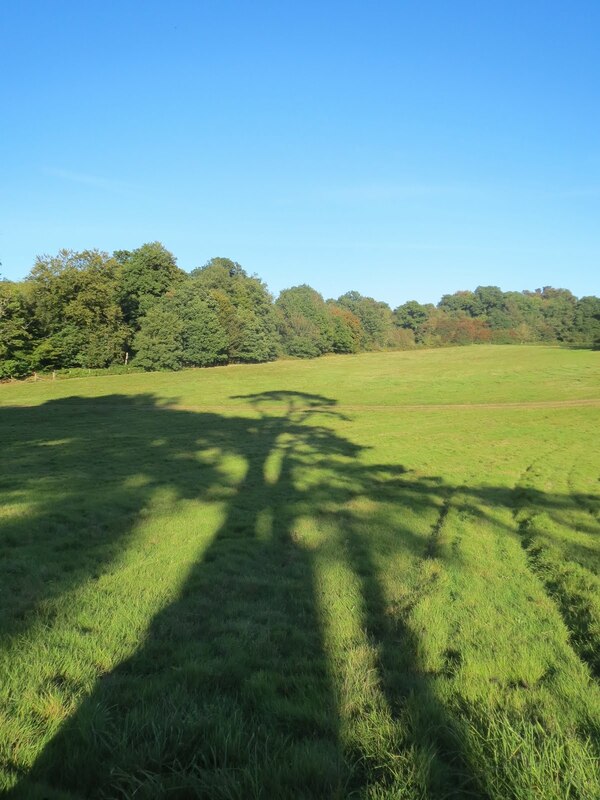 The long autumn shadows of the Scots pine and the gradual turning of the leaves. And a tree of memories, The Upside Down tree where the children played for hours. You see I could go on! Trees are not just essential for the life of our planet but many were revered in ancient times for their mystical and magical properties. Such myth and folklore surround them that we should perhaps listen to the knowledge of our ancestors. 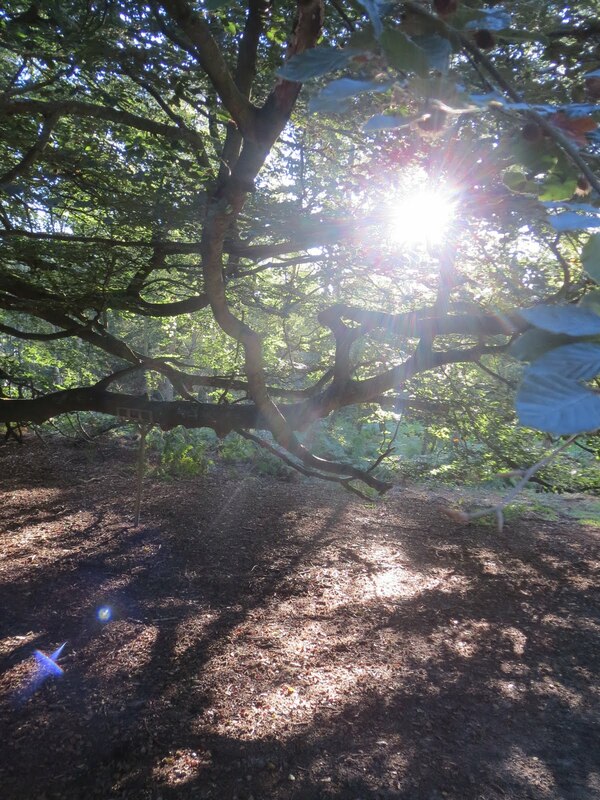 A wand cut from a hazel can be used for dowsing and divination. The countrywise use hazel twigs for bean poles, twigs for peas and for making wattle fence panels. The Romans used supple hazel twigs for tying vines to stakes and in the Middle ages hazel was burnt to make charcoal. In modern times hazel branches have been used to construct shuttlers called ‘benders’. Long hazel poles are ties together and then a tarpaulin is stretched over the top. Tying a hazel twig to a horse’s harness was a traditional way of protecting the horse from enchantment by fairies. But probably best of all is that the hazel is thought to be the tree of immortality and is especially revered for the nuts which were believed to carry all wisdom. Maybe this is why the little dormouse so prefers to be beside the hazel as his habitat! Who doesn’t love and beautiful oak tree? I was taught to recognise these gorgeous trees in winter by looking out for the branches which look like knees and elbows. 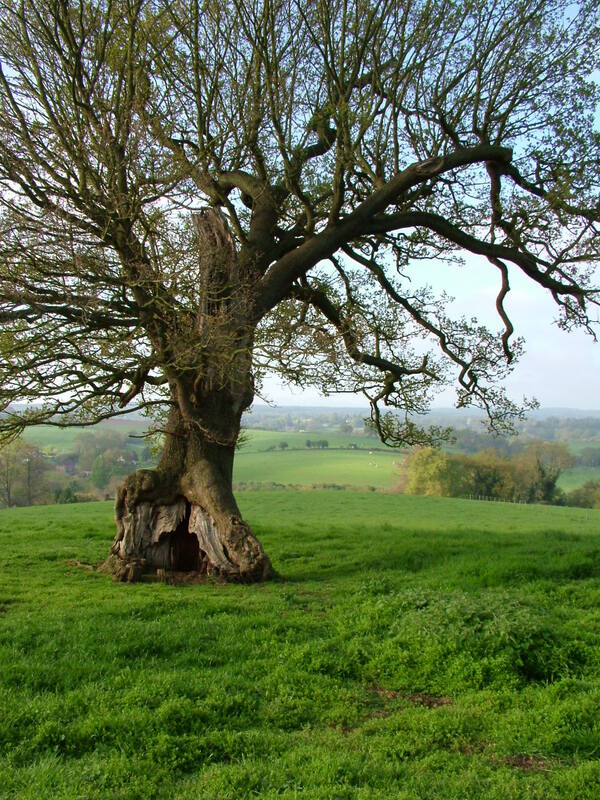 And they do….This is the lighting oak before it was struck. The oak tree hosts by far the most other species of life than any other tree. It is in itself a habitat and is often called the ‘garden of the country’. 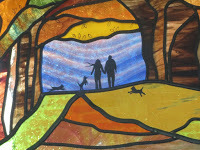 Traditionally couples were married under an oak tree long before the Christians substituted marriage in a church. The tree is known for its warmth and friendliness and is regarded as the emblem of hospitality and strength. The very earliest spirits of Greek mythology were called dryads, oak-tree spirits and it was once believed that the oak was the first tree created by God from which spang the entire human race. The druids were known as the wise men of the oak and the title ‘druid’ is most likely derived from duir, the Old Irish/Gaelic name for oak. The wood of the oak , as well as being incredibly strong is renowned for its beauty of grain and texture and its rich colour after polishing. Oak has been used for centuries for building and for making furniture. 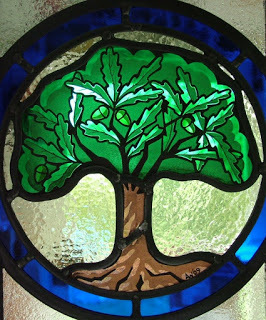 These two native trees are ubiquitous here in the Surrey Hills but the oak surely has to be the most iconic and interestingly the one I am most asked to portray in glass. 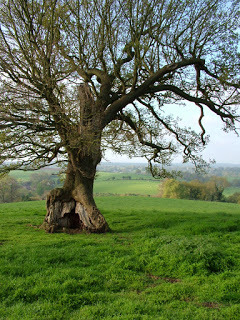 Here is a film made last year showing the life of an oak tree throughout a whole year. Last month I was asked by Velux, The Daylight Project, to write a small article on how light affects my work. In amongst all the information I was conveying, I failed to add that as the days get longer so my energy levels rise! Spring has well and truly sprung and here in The Surrey Hills the light is fabulous. 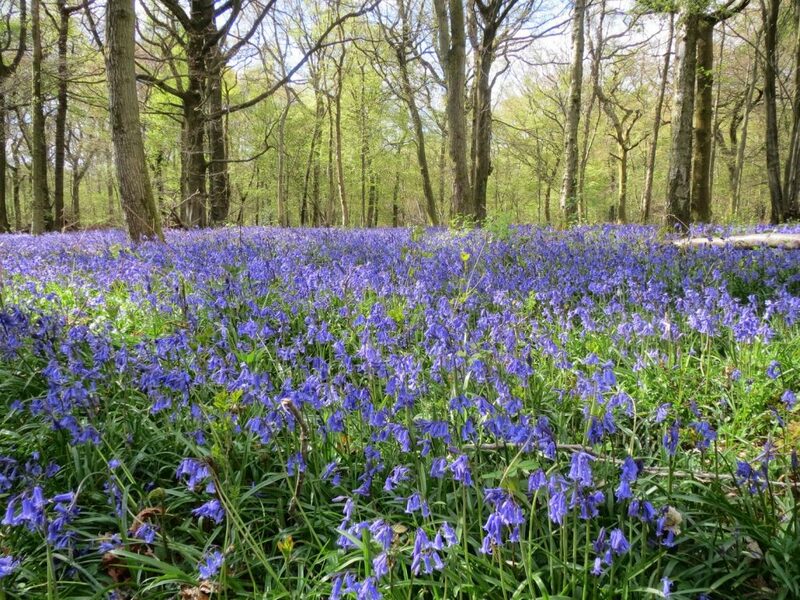 The woods are full off the most amazing sea of Bluebells, the blue haze disappears off into the distance and inspires. There is a spring in my step. 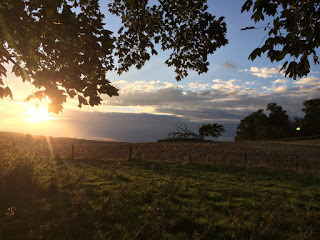 A bit of a sad reflective Blog today. A few weeks ago one of my close friends died suddenly. We hadn’t seen him for about a year but still think of him and his wife as close and dearly loved friends. He was born in the same year as me and so it focusses the mind somewhat when this happens. I have never seen a church so full as was the one for his memorial service. So well loved was he. I don’t normally Blog about personal issues as lets face it no one is THAT interested! However this event has made me take stock. 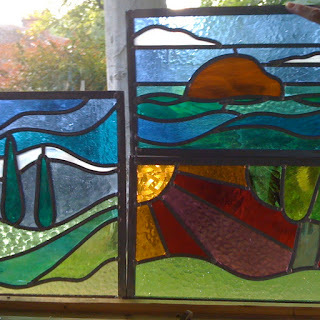 I am a very busy stained glass artist working hard to make a living and keep the roof over our heads and food on the table. This has never been a highly paid profession and still remains very hard work, as are all crafts if you do them properly. But, I have decided:-when my daughters come home from school and want my time , they will have it. When my husband wants a cuppa and a chat, he will have it. When Floss looks lovingly at me and says she needs another walk, she will have it. When I spot a day out, a visit that just has to be done, I will do it. I will drink the tea and chat to my friends. I will make time because that is the one thing we don’t have too much of. 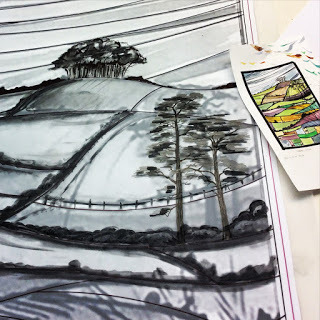 So if you are waiting for a commission, a design or an appointment please bear with me, it will happen. 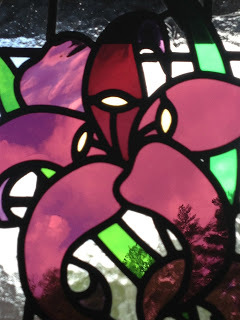 I love my job and am totally committed to making your windows the best and most beautiful they can be but we all need moments to recharge and we all need to take time to smell the flowers. I am so happy today following one of the loveliest testimonials I have received in a long time. 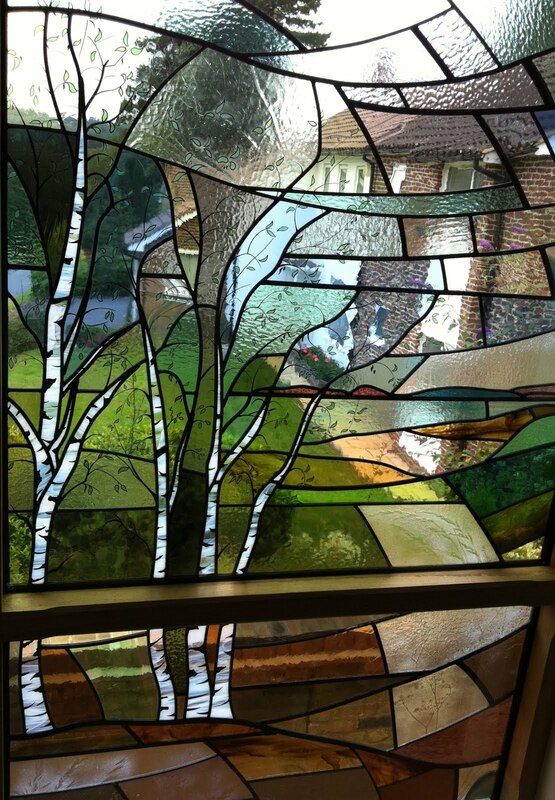 My customer was a pleasure to work with (no I’m not just saying that ) Her clear understanding of the craft, the glass and its properties, made it an easy job for me. We spent hours choosing glass colours to suit her decor and taste. This was all to enhance the light from the side alley which the window is hiding. 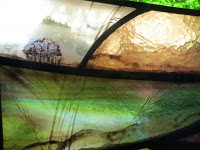 https://www.facebook.com/bordoliandkelting made a wonderful frame for the window which really make it look like a special piece of glass art. Thank you for your lovely email and yes I enjoyed doing this ‘project’ with you. For me it is a dream come true. Every morning I wake up and have a quick look at my beautiful window before my day starts. 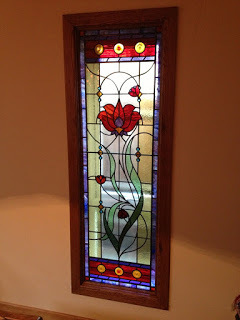 It looks magnificent in the day with the light shining through. I have to make a plan to organise a light behind it for the evenings. I LOVE IT. Thank you for my beautiful piece of art! Hope we bump into each other again some time. 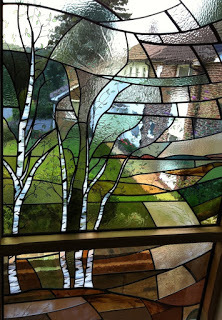 https://abinger-stained-glass.co.uk/wp-content/uploads/2013/01/IMG_4574-2.jpg 320 240 Amanda Winfield /wp-content/uploads/2016/02/logo-main.png Amanda Winfield2013-01-14 15:20:002016-11-23 15:51:44Another job worth doing! 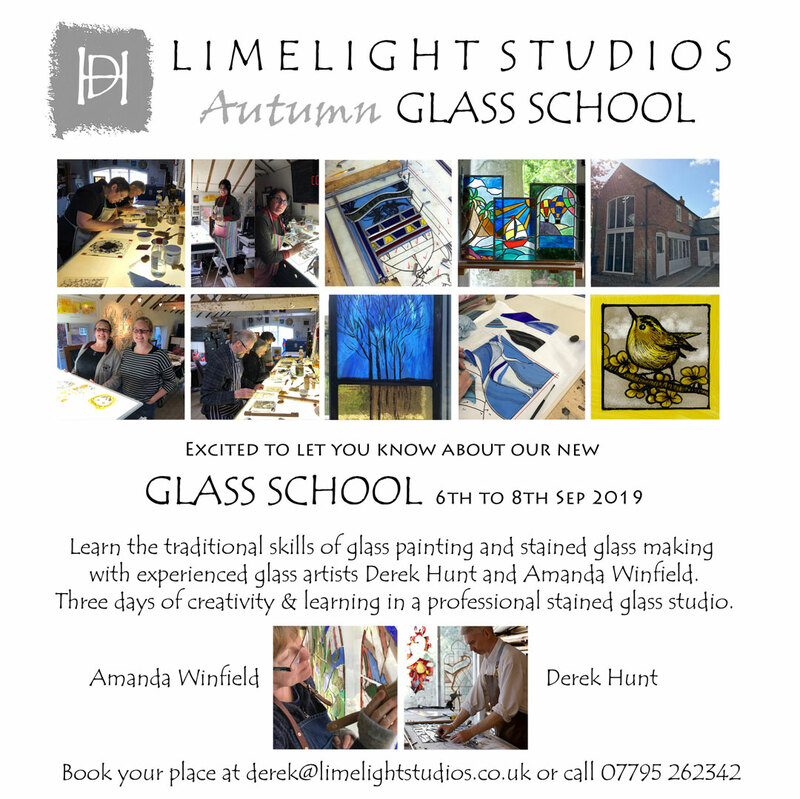 This month I’m chuffed to be Kirstie Allsopps number 1 craft course in the country! Bless her cotton socks!